Published By – Slam Corp. Published By – Gailantcy Music Co. Published By – Please Give Me My Publishing, Inc. Published By – TCF Music Publishing, Inc. Published By – Songs of Universal, Inc. Published By – Stone Diamond Music Corp. Published By – EMI Belfast Music, Inc. Published By – Universal Music Corp.
Legal [Top Dawg Entertainment] – Joshua P. Binder, Esq. Comes in a gatefold cover with polylined inner sleeves. Pressed on opaque orange marbled vinyl. ℗ © 2016 INTERSCOPE RECORDS (TOP DAWG ENTERTAINMENT). A division of UMG Recordings, Inc. Sample Clearance: Deborah Mannis-Gardner for DMG Clearances Inc.
Track A2 contains elements from "Cristo Rendentor" written by D. Pearson and published by Gailantcy Music Company (BMI) performed by Donald Byrd courtesy of Capitol Records by arrangement with Universal Music Entertainment. Track A4 contains re-spoken dialogue from the movie "The Five Heart Beats" (R. Townsend) published by TCF Music Publishing Inc (ASCAP). Track B9 contains samples from "Masterpiece" written by N. Whitfield and published by Stone Diamond Music Corp (BMI) performed by Grover Washington courtesy of Motown Records by arrangement with Universal Music Entertainment. Track B9 contains a sample of "Play Hataz" written by P. Beauegard, J. Huston, P. Huston. Track C10 contains samples from "Silently" written by W. Hart, D. Henderson, T. Simon, A. Younge and published by Linear Labs (ASCAP), Sony/ATV Allegro (ASCAP), Wadud Music Co. (ASCAP) Downtown DMP Songs (BMI) performed by The Delfonics & Adrian Younge courtesy of Linear Labs. Track C13 contains lyrical interpolation from "Picture Me Rollin" written by R. Bell, R. Bell, G. Brown, V. Edwards, T. Himes, J. Jackson, R. Mickens, O. Nash, T. Shakur, C. Smith, D. Thomas, R. Westfield, and published by Imperial Loco Entertainment c/o Universal Music-Z Tunes LLC (ASCAP), Old River Music c/o Warner-Tamerlane Publishing Corp (BMI), Suge Publishing c/o Songs Of Evergreen/BMG Rights Mngt US LLC (ASCAP). Track C13 contains lyrical interpolations from "Movin' On Up" written by J. Barry, J. Du Bois and published by EMI Belfast Music, Inc. (BMI). Track D14 contains sample of "Drop" written by M. Ratlege and published by Soft Machine Publishing Company (PRS) performed by Soft Machine courtesy of Sean Murphy and Sony UK. Track D14 contains samples of "Good Old Music" written by G. Clinton and published by Bridgeport Music Inc. (BMI) performed by Funkadelic courtesy of Westbound. 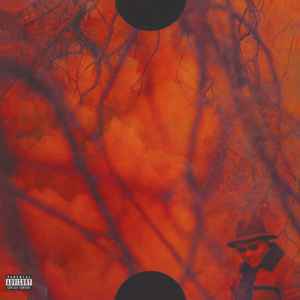 Alternatively titled "Blank Face" on spine. The letter "H" is stylized in bigger lettering throughout the release. Track positions are listed sequentially, as they are on the release. Larrance Dopson credited as "Larrance Dopson From 1500 Or Nothin'". Jesse Rankins credited as "Jesse Rankins Of Watch The Duck".